Nestled in the Elkhorn South School District along Skyline Drive between West Center & Pacific Street, The Prairies is the community you’ve been looking for. A beautiful, master planned community featuring paved walking trails, green common areas, multiple price points, mature tree-lined streets and a private community center & swimming pool. Gorgeous area with so much to offer and close to schools, shopping & entertainment; The Prairies has it all. This location affords easy access to West Center, Pacific and Dodge Streets and is within close proximity to both numerous shopping and restaurant options. 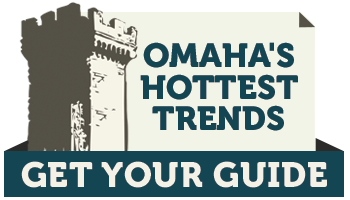 THE PRAIRIES is located in southwest Omaha along Skyline Drive, between West Center and Pacific Streets. This location affords easy access to West Center, Pacific and Dodge Streets and is within close proximity to both numerous shopping and restaurant options and the Elkhorn Public Schools to which it is assigned. THE PRAIRIES is bordered by existing subdivisions on the north, east and south and Skyline Drive on the west. In addition to the prime location and desired Elkhorn School District, THE PRAIRIES provides significant common space with paved walking trails, multiple price points, mature tree-lined streets and a private community center and swimming pool. THE PRAIRIES is located in the Elkhorn School District and is currently assigned to Skyline Elementary, Valley View Middle and Elkhorn South High. See above map for the locations of schools in relation to THE PRAIRIES.